A private independent school encouraging love for self, building character, and strong community involvement, all while building a firm educational foundation. 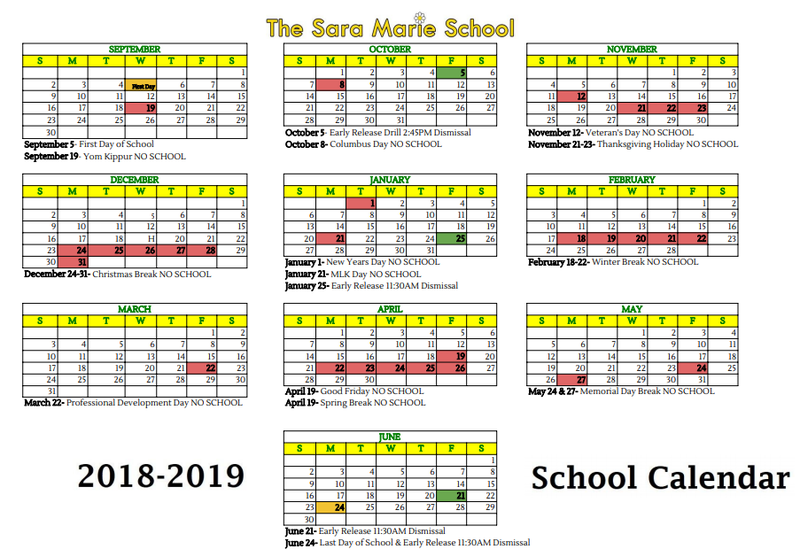 If you would like more information regarding our programs, please contact the director at 518-280-3982 or email us at director@thesaramarieschool.org_. "My husband and I could not be happier with the school. Our 4 year old has improved so much academically and socially this year. He absolutely adores his teacher and looks forward to an exciting day every morning. Their approach to teaching is very child-centered and hands on (The homework assigned varies from student to student, and the learning groups are modified throughout the day based on the childrens' needs and interests). The staff is extremely friendly and professional; it is obvious that they love what they do and truly care for their students. We are looking forward to next year: I heard the Kindergarten teachers are fabulous!" "The teachers here are top rate, the very best that Clifton Park has to offer. You will not find a better school with more dedicated professionals anywhere." "Great learning environment. The teachers are the best and the director is outstanding. Best learning environment in Clifton Park." The school day begins at 8:00AM and dismissal is at 3:00PM. Families requiring extended care can speak to us about our Breakfast Club and Busy Bee extended care programs.